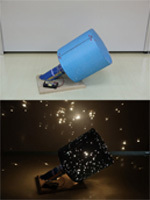 It is a next-generation planetarium projector created by planetarium creator Takayuki Ohira. In the past, a conventional planetarium reproduced stars ranging up to magnitude 6~7, about 6,000 to 30,000 stars. 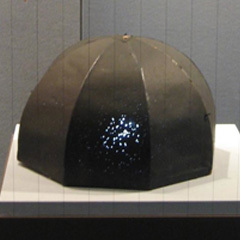 Meanwhile, the MEGASTAR-I, which was first announced at the IPS (International Planetarium Society) London Conference in 1998, projected 1.5 million stars (complete model has 1.7 million stars), up to 11th magnitude. 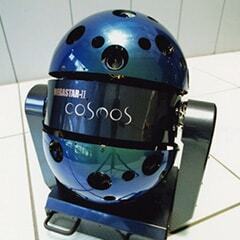 It revolutionized the planetarium world. Later on, new models were born one after another, and the number of projected stars in optical systems scores at most 22 million, and expanded to theoretically infinite by using the MEGASTAR-FUSION system which is a fusion of optomechanical and digital projections. For the first time in the world, MEGASTAR expressed the Milky Way as a gathering of individual stars. Although naked eye cannot distinguish them, it is undoubtedly a scattering of small stars shining there one by one. 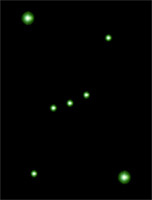 By faithfully displaying such a faint existence, we made it possible to reproduce the depth of the real starry sky. People who experience the MEGASTAR starry sky are moved to tears as it unwittingly glimpses the mystery of the creation of the Universe hidden in the depths of life. Projection star number is more than one million as its name. The Milky Way, reproduced traditionally like a blurry cloud by a Milky Way Projector, is entirely reproduced as a group of individual stars for the first time in the world. MEGASTAR is often described as "a star projector which can display stars that can not be seen with the naked eye," but the fact is that MEGASTAR displays stars that can not be distinguished with the naked eye, as they are, one by one, even the small ones. Inside a planetarium dome, using binoculars, you can observe the Milky Way as a gathering of small stars as it was when Galileo Galilei first looked into the telescope. You can also search for over 170 nebulae and star clusters, including all Messier objects. A conventional planetariums were massive devices, and when installed in a facility it did not move anywhere. MEGASTAR reverses this common sense, making possible not only a permanent installation but also a jump out of the facility, delivering stars to various places that seemed impossible to date. The star projector is very compact, lightweight, and has a simple configuration. It does not disturb the view of the audience and does not make a big shadow on the image when used in conjunction with a digital planetarium system. Installation footprint is also small. The model for events is easily transportable, and it is suitable regardless of the genre, such as star show at an event, a mobile planetarium with an air dome, collaboration with artists, an exhibition at an art museum. 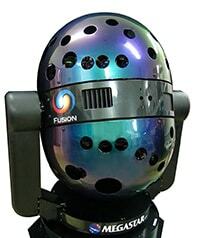 MEGASTAR is also suitable for hybridization with a digital planetarium system. MEGASTAR provides the projection of the beautiful starry sky unique to optical projectors, while a digital planetarium system projects text, constellation picture, auxiliary lines, and so on. This combination can respond to every need. MEGASTAR has an automatic position alignment function that facilitates interlocking, a solid-state shutter, a Bright Star projector with individual dimming function, as well as an open network interface, among other features. By using the newly developed optical & digital fusion projection system "MEGASTAR-FUSION", optically projected stars would never overlap digital images, and more accurate projection becomes possible. The whole MEGASTAR series adopts an ultra-high brightness LED which has long life (about 30,000 hours) for the first time in the planetarium industry. It has an environment-friendly specification with no lamp replacement, with safe and comparatively low power consumption. Besides, hermetic slip rings are adopted for nearly all electric power transmission parts of rotating units. Cleaning and replacement of troublesome contacts, which was indispensable in the past, became virtually unnecessary. It also provides long-term stability and reliability by using a solid-state shutter containing no moving parts. Representative Director of Ohira Tech Ltd., Planetarium Creator Takayuki Ohira worked on his planetarium since he was in elementary school. 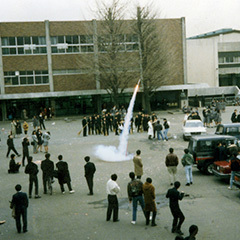 While studying at the university, he succeeded in developing the lens projection type planetarium "Astroliner" which was said to be beyond the capabilities of an individual person. After joining Sony Corporation, he continued planetarium development and made "MEGASTAR" that projects 1.5 million stars (complete model has 1.7 million stars), what was 100 times more than of a conventional planetarium by the date. It was presented at the IPS (International Planetarium Society) London Conference in 1998. In 2004, he jointly developed with the National Museum of Emerging Science and Innovation "MEGASTAR-II cosmos" (with 5.6 million projected stars), which acquire certificate as a Guinness World Record. 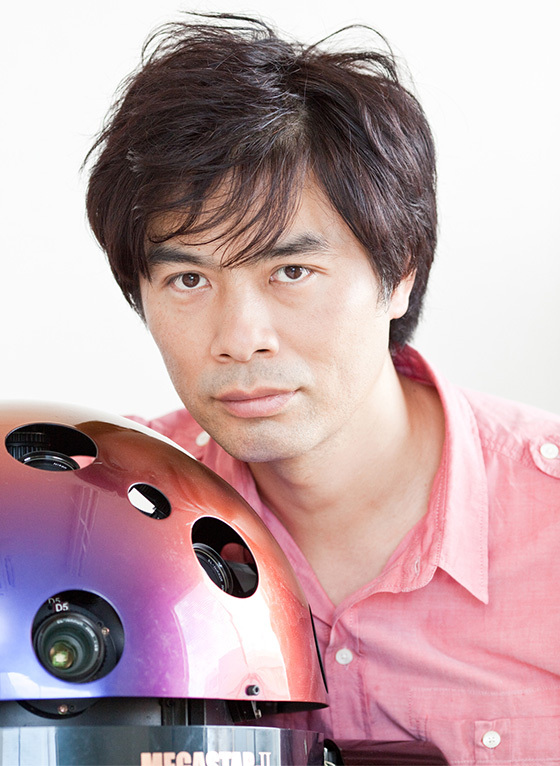 In 2005 Takayuki Ohira founded Ohira Tech Ltd. As a famous public figure in Japan, Ohira often appears on TV. His book "I made a Planetarium" was made into a TV Drama by Fuji Telivision. 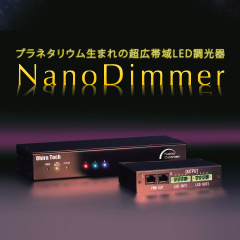 In addition to installations of MEGASTAR in Japan and abroad, Ohira is actively producing events, collaborating with musicians and artists, developing innovations for planetarium industry. The world's first optical home planetarium series "HOMESTAR" jointly developed with SEGA TOYS is a major hit product exceeding 1.15 million units sold worldwide (as of April 2017). 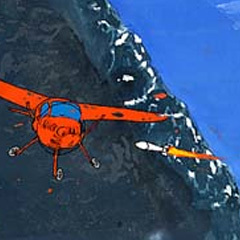 In 2012, Ohira developed a completely new projection concept "MEGASTAR-FUSION". 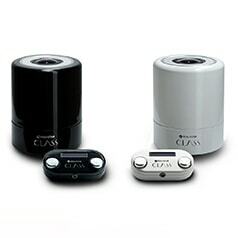 In 2016, the ultra-compact "MEGASTAR CLASS" was announced as the first planetarium for personal use in the MEGASTAR series. Takayuki Ohira's motto is "Human beings can prove possible but cannot prove impossible". Award history: Nihon University Excellence Award, Kawasaki Azalea Glow Award, Japan Innovator Excellence Award (Nikkei BP Company), BVLGARI Brilliant Dream Award 2006, Science and Technology Award by the Minister of Education and Culture, IPS2018 TECHNOLOGY & INNOVATION AWARD. Born in Kawasaki city, Kanagawa prefecture, Japan. Made a desktop pinhole type planetarium. 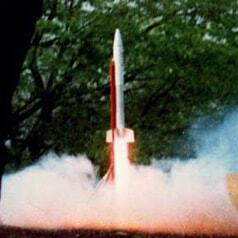 Successfully launched an experimental rocket on solid fuel. As an amateur, created an optical lens projection planetarium, ASTROLINER. It was said that such a device is beyond the capabilities of an amateur. Graduated from Nihon University Graduate School of Engineering and Science. Took a degree in Precision Mechanical Engineering. Starting work at the Sony Corporation. MEGASTAR (1.5 million projected stars, 1.7 million in the completed model) announced at the IPS London Conference. Presented MEGASTAR in the famous Spiral Building (Omotesando, Tokyo) for the first time in Japan. Published an autobiographical book "I made a planetarium" (Published by X-Knowledge Co., Ltd.). 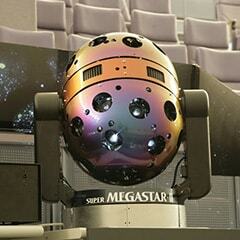 MEGASTAR-II Phoenix (4.1 million stars) presented at the Tokyu Cultural Center (former Goto Planetarium). 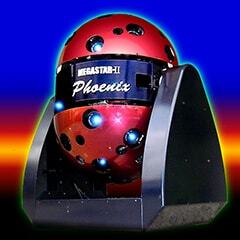 MEGASTAR-II Phoenix presented at the Kawasaki City Youth Science Museum. MEGASTAR-II Cosmos developed together with the National Museum of Emerging Science and Innovation, installed in the same building. MEGASTAR-II Cosmos (5.6 million stars) certified in Guinness World Records as "the world's most advanced planetarium projector". The book "I made a planetarium" converted into a TV drama as "Star wishes ~4.1 million stars born on seven tatami mats" (starring: Tsuyoshi Domoto / Fuji TV). 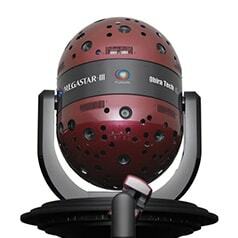 The world's first home optical planetarium HOMESTAR (SEGA TOYS) released. The Science for Adults: Vol.9 "Takayuki Ohira`s ultimate pinhole planetarium" released by Gakken Education Publishing Co., Ltd.
MEGASTAR-II selected for the "New Japan Style" best 100 (by Ministry of Economy, Trade, and Industry). Received Science and Technology Award by the Minister of Education and Culture. 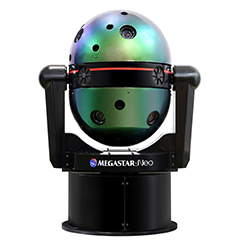 MEGASTAR-ZERO developed as the world's first professional planetarium to adopt the LED for the primary light source. An article about the production of a planetarium appeared in a high school English textbook "Power On English II" (Published by Tokyo Shoseki). SUPER MEGASTAR-II announced at the IPS Chicago convention boasting the world's greatest projection number of 22 million stars by the date. MEGASTAR - IIB developed as the world's first model with an LED light source for permanent installation in medium size domes. 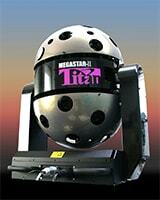 MEGASTAR - IIA developed as the world's first model with an LED light source for permanent installation in big domes. MEGASTAR-IIB installed in Nehru Planetarium (New Delhi, India) as the first abroad permanent installation by Ohira Tech Ltd.
An exhibition "Sky Planetarium" is held at the Mori Arts Center Gallery (Roppongi Hills Mori Tower 52F) which made a new record of the maximum number of visitors per day. 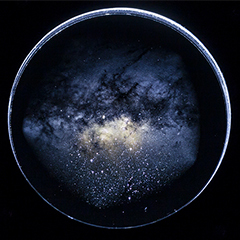 Sky Planetarium II is held at Mori Arts Center Gallery. MEGASTAR used as an optomechanical unit of the world's first 360-degree full sphere planetarium installed in the AHHAA Science Center (Tartu, Estonia). 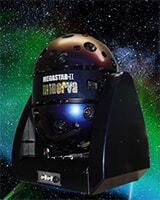 MEGASTAR-IIB at Fujikawa Rakuza updates "Guinness World Record" as "the world's most advanced planetarium projector". MEGASTAR-FUSION developed as a new projection concept that combines optical and digital type. Installed in the Kawasaki Municipal Science Museum. Star Cruise Planetarium is held at Mori Arts Center Gallery. Together with "Sky Planetarium I, II" a total of over 660,000 visitors confirmed. 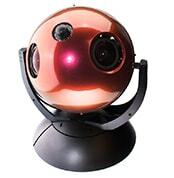 SPACE BALL developed and produced as the world's first mobile full sphere planetarium (sponsored by TV Tokyo). The show is held at the Tokyo International Forum for 34 days with all seats fully occupied (40,000 views). 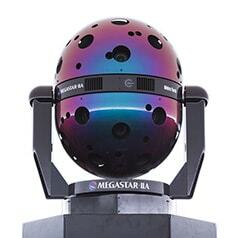 MEGASTAR-Jr. developed as the world's first optical & digital ultra-compact planetarium. The book "I made a planetarium" is put on stage by the theater company "Space restaurant". The art installation "Imaginary Cosmos" by MEGASTAR-II exhibited at the Museum of Contemporary Art Tokyo as a part of an exhibition "mission[SPACE x ART]–beyond cosmologies". 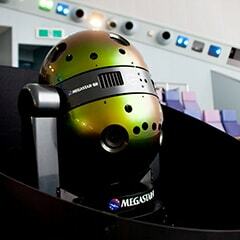 12K MEGASTAR-FUSION is released at the Chiba Prefectural Contemporary Industrial Science Museum as the world's highest resolution planetarium system by the date. GIGAMASK developed as a super precision star plate capable of projecting the highest number of stars in the world with more than 1 billion stars. 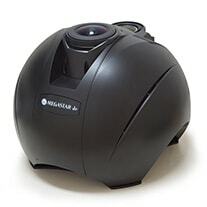 Technology developed in cooperation with Sony DADC Japan Inc.
MEGASTAR CLASS developed as the first MEGASTAR series ultra small planetarium for personal use. "Planetarium man" (Published by Kodansha Ltd., Gendaishinsho series) released. “Inner Cosmos: Planetarium Show” part of the "STARRY SKY ILLUMINATION" exhibition at the Shanghai Natural History Museum. 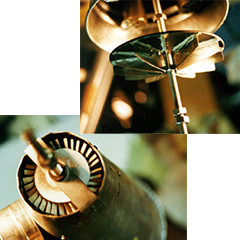 Developed lightweight and compact optical star projector MEGASTAR-Neo for small- to middle-sized domes. Immersive VR attraction "MEGASTAR JOURNEY" at the Tokyo Tower Hall. TECHNOLOGY & INNOVATION AWARD at International Planetarium Society Conference 2018 in Toulouse, France (IPS2018). 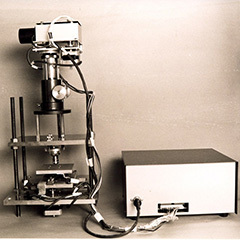 1990Photolithography device "Microplotter" for star plates. 1998Photolithography device "Super Microplotter" for star plates.